Madeline Ruiz, a sophomore political science and speech communication major, is the new Associated Students of the University of La Verne president, and Roy Requena, a junior business administration major, is the new vice president, per the election results announced Wednesday. Results for all elected ASULV officers were announced Wednesday in the Fasnacht Court, however, most of the candidates knew their fate long before the results were in. Ruiz and Requena said they hope to unify the student body by increasing the accountability of ASULV to the students. They both echoed themes of transparency within the University community and advocating for the students’ needs. “I was inspired to run for president when I realized that I could bridge the communication to unify not only the student body, but also unify the students with the faculty and administration,” Ruiz said. “It’s up to ASULV to be the liaison between the student body and faculty,” Requena said. Ruiz plans to use her platform as president to encourage the student body to bring forth their concerns. She hopes to be an advocate for the students, and she wants their voices have value and weight. Ruiz is passionate about holding ASULV and the senators responsible for the promises they make, and plans to push to ensure they all serve the students throughout the entire year. Vice president Requena plans on working with senators to figure out a better system for club funding. He wants to work closely with club presidents to better meet their needs. “Clubs don’t know how to go through the process within ASULV. There’s a lack of information and support from ASULV,” Requena said. Requena reflected on the political apathy on campus, and how he can make a change. Requena’s main goal is to see more involvement on campus. He wants to see more advocacy for clubs and sporting events. He encourages people to join clubs and start new organizations, and acknowledges the struggles they face gaining traction and support. Andrew Im, a senior business administration major, also encourages students to get engaged at the University. “If there is a time for students to have an incentive to get involved in student life, it’s now. Now is the time. I’m incredibly proud of those who ran for ASULV and I encourage all students to get involved in ways that will unify us,” Im said. Nia McMillion, junior psychology major, and Christian Billings, junior physics major, are the new senators for the College of Arts and Sciences, while Chianhui Qin, freshman business administration major, is the new senator for College of Business and Public Management. 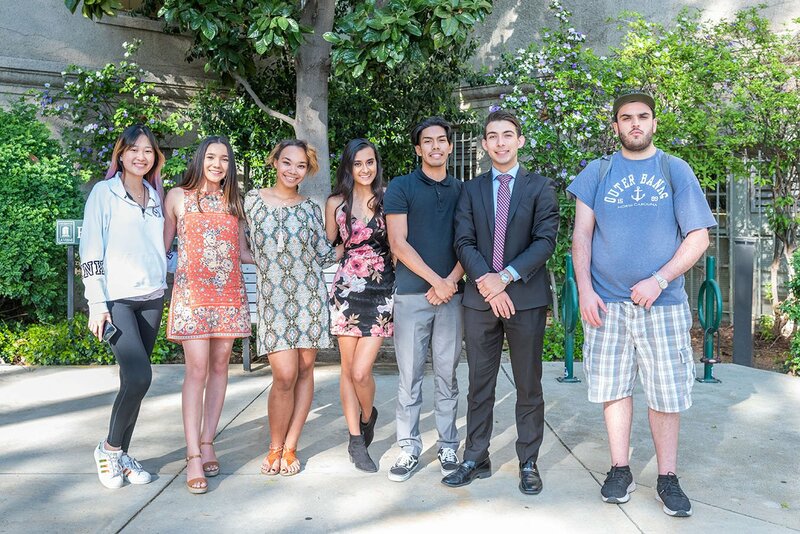 The new senators- at large named were Jorge “George” Cortez, freshman kinesiology major, Sara Morales, sophomore biology major, Michael Rodriguez, freshman information technology major, Victoria Tavera, freshman communications major, Shelby Johnson, freshman biology major, and Amber Kushwana, freshman business administration major. Oceano Marshall, a senior elections commissioner, expressed how he thinks the apathy on campus negatively impacts the system as a whole. But he is proud of the role he played as his part as commissioner, he said. Savannah Dingman can be reached at savannah.dingman@laverne.edu.